Last April, when my street was hit by an F-1 tornado, I really WAS surprised to see it mentioned on National TV. After all, nobody was killed. I realized that disasters are real gems to news stations because of the ratings that they generate, but I have noticed that all the fires out West, really don’t get the coverage they deserve. I also remember how fires were kind of ignored when Bill Clinton was President. It seems, for most of my life, I really don’t remember the huge fires that we started getting, that is, not until Bill Clinton became President. Overnight, it seems at least in one year of his Presidency, the whole WEST was on fire. They acted as if it was just another news day. Most of the time, nobody knows who started the fire, and the reporters just get everyone guessing, then it’s forgotten until the next fire. For instance, the recent fire that killed those 19 firemen, did you ever hear who STARTED the fire? I didn’t. Not important I guess. This summer we watched as the Black Forest fire in Colorado burnt down 346 houses and killed two. And they are expecting more. Like many Americans, I thought something was up. When I was 16, I remember temperatures of 115 were quite normal for Arizona, and yet, there were just not that many fires. Fires just don’t start up because the bushes are dry. 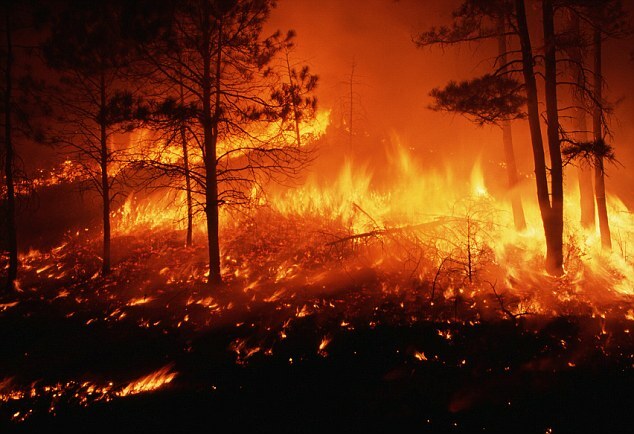 While Al Gore and the global warming experts are quick to tell you that the fires are due to global warming, I think, (and Carl Sagan would agree) that we should consider the more obvious explanation for all these fires: Many—and I’ll take a wild guess and say at least half of these fires, are being set by terrorists. (Remember, that’s an opinion.) Recently, the Muslim Magazine “Inspired” which was “inspired” by that very dead New Mexican fellow named Anwar al-Awlak, is giving instructions on just HOW to start a forest fire in America, and why you should do it. 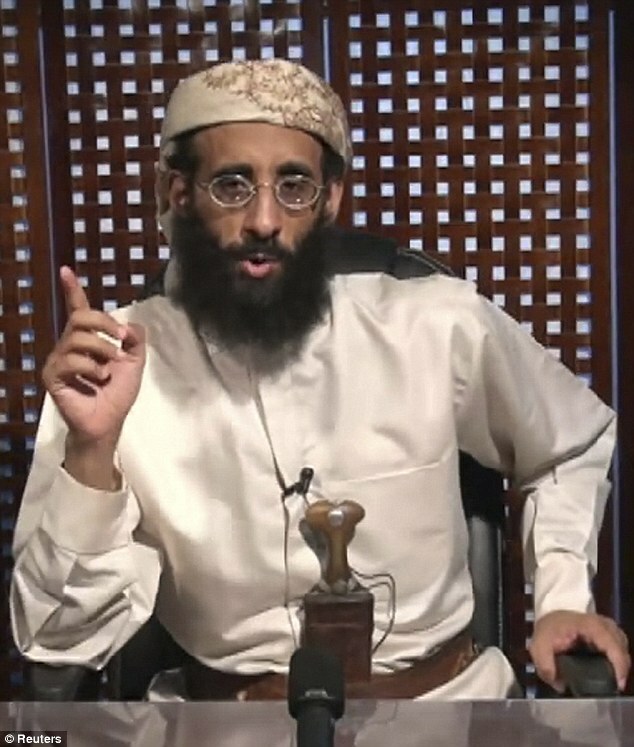 ‘Unleash Hell’: New Al Qaeda magazine describes in detail how to start huge forest fires across the U.S..with instructions on how to make ’ember bombs’ Al Qaeda has called upon its followers to unleash massive forest fires upon the United States this summer. Published in the latest edition of the notorious terror magazine, ‘Inspire’, are graphic instructions for the creation and ignition of ’ember bombs’ Detailed in the memorably titled, ‘It is of your Freedom to Ignite a Firebomb’, the magazine encourages any would-be terrorist to target Montana, because of the rapid population growth in its wooded areas. Nobody Thinks that Muslims (and other illegal’s and lowlifes) have been setting forest fires in the West for quite some time now. It’s just another little dirty secret that our “government ” doesn’t think we need to know, because then we would be REALLY mad. So…they just don’t discuss it much. In fact…they don’t discuss it at all. When was the last time you heard John McCain say, “We have really got to get a grip on these forest fires!” ? It’s because they HAD to. That’s one way to keep an economy going! (Nobody says: Was that a joke?) What isn’t a joke is that due to my own curiosity, I wanted to visit the site of the magazine to see it for myself: But the FBI would visit me, so I didn’t. I’m SURE the FBI didn’t even have to visit the site to know how to make a fire bomb, and they say they want to keep the site up to track all it’s visitors. Okay. I’m chasing my own tail here. So, if you happen to live out west, and see Muslims camping in the park, and they tell you they love nature and want to see some bears. Don’t report them to the FBI. Go tell your local sheriff. I just saw this on the Doug Powers site, THE POWERS THAT BE, (My kindred patriot in arms and Irish brilliance— check him out) and was so moves by this speech, given by Ted Cruz’s father, that I had to pass it on. Take a listen, I promise it will inspire you! 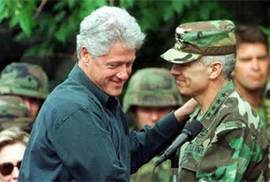 Nobody’s Email: Bill Clinton’s Military Career…. Hey…let’s not forget the Clintons! 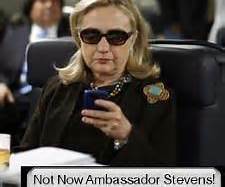 Hillary is already warming up her act to become President. Here’s an email to remind everyone, just how much Obama is like Clinton. They both talk a big game, and then…bluff. Here’s an email that laid out the real facts on Bill Clinton, written by a military man, so I think we SHOULD …pass it around! Bill Clinton’s Military Career. What a difference did it make! Oh! You didn’t know he had a military career? Bill & Hillary got about $12 million for their to-be written memoirs. Here’s some help for them since their memories are getting old. Bill Clinton registers for the draft on September 08, 1964, accepting all contractual conditions of registering for the draft. Selective Service Number is 326. Bill Clinton classified 2-S on November 17, 1964. Bill Clinton reclassified 1-A on March 20, 1968. Bill Clinton ordered to report for induction on July 28, 1969. 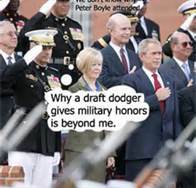 Bill Clinton refuses to report and is not inducted into the military. Bill Clinton reclassified 1-D after enlisting in the United States Army Reserves on August 07,1969, under authority of COL. E. Holmes. Clinton signs enlistment papers and takes oath of enlistment. Bill Clinton fails to report to his duty station at the University of Arkansas ROTC, September 1969. Bill Clinton reclassified 1-A on October 30, 1969, as enlistment with Army Reserves is revoked by Colonel E. Holmes and Clinton now AWOL and subject to arrest under Public Law 90-40 (2) (a)-registrant who has failed to report…remain liable for induction. Bill Clinton’s birth date lottery number is 311, drawn December 1, 1969, but anyone who has already been ordered to report for induction is INELIGIBE! Bill Clinton runs for Congress (1974), while a fugitive from justice under Public Law 90-40. Bill Clinton runs for Arkansas Attorney General (1976), while a fugitive from justice. Bill Clinton becomes the FIRST PARDONED FEDERAL FELON ever to serve as President of the United States. All these facts come from Freedom of Information requests, public laws, and various books that have been published, and have not been refuted by Clinton. After the 1995 bombing in Saudi Arabia, which killed five U.S. military personnel, Clinton promised that those responsible would be hunted down and punished. Maybe if Clinton had kept those promises, an estimated 3,000 people in New York and Washington, DC, who are now dead would be alive today. Think about it! It is strange turn of events. Hillary gets $8 million for her forthcoming memoir. Bill gets about $12 million for his memoir yet to be written. This from two people who spent 8 years being unable to recall anything about past events while under oath. P.S. Please forward this to as many people as you can! We don’t want this woman to ever THINK of running for President!